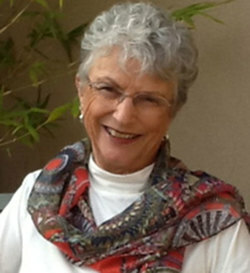 Marilyn Reynolds is the author of ten books of realistic teen fiction: Telling, Shut Up, No More Sad Goodbyes, If You Loved Me, Love Rules, Baby Help, But What About Me?, Beyond Dreams, Too Soon for Jeff and Detour for Emmy, all part of the popular and award-winning True-to-Life Series from Hamilton High. Marilyn is also the author of a book for educators, I Won’t Read and You Can’t Make Me: Reaching Reluctant Teen Readers, and a collection of essays, Over 70 and I Don’t Mean MPH. Her newest book is a memoir, 'Til Death or Dementia Do Us Part (2017, available from River Rock Books.She has a variety of published personal essays to her credit, and was nominated for an Emmy for the ABC Afterschool Special teleplay of Too Soon for Jeff. Currently, Marilyn is working on the 11th book in the True-to-Life Series. Ms. Reynolds worked with reluctant learners and teens in crises at a southern California alternative high school for thirty years. She remains actively involved in education through author presentations to middle and high school students ranging from struggling readers to highly motivated writers who are interested in developing work for possible publication. In the introduction to her book on techniques to help reluctant readers (I Won’t Read and You Can’t Make Me), Marilyn writes: “Over time I came to realize that the greatest gift I could give to my students, many of whom would have no formal schooling after they left [high school], was the gift of a reading habit. Silent reading time became the backbone of my program.” She quotes a study in the the Los Angeles Times reporting that the single most significant factor in determining a person’s success in life is whether they read for pleasure. Marilyn Reynolds is a passionate advocate of the benefits of writing in addition to reading. She promotes writing through participation in the 916 Ink program, and works with incarcerated youth in the Sacramento area. She engages with teens in a local continuation high school, and through visiting schools as an author. She also presents staff development workshops for educators and is often a guest speaker for programs and organizations that serve teens, parents, teachers, and writers.